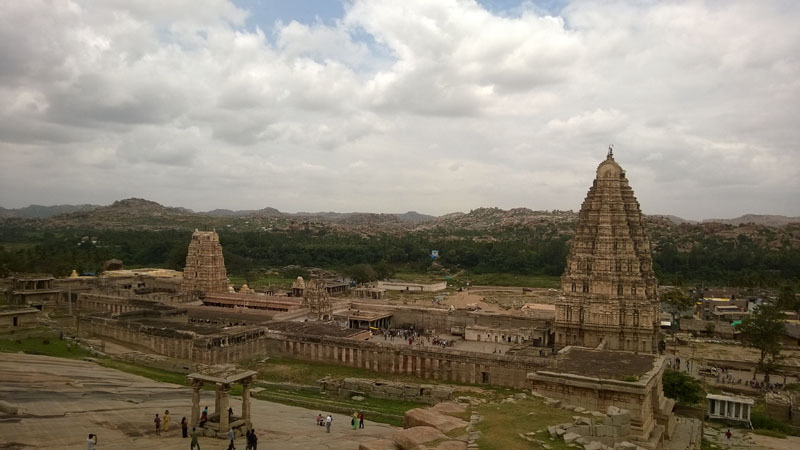 It was a trip planed with an old friends of mine from Bangalore who joined me on a 3 days trip to Hampi , Karnataka. 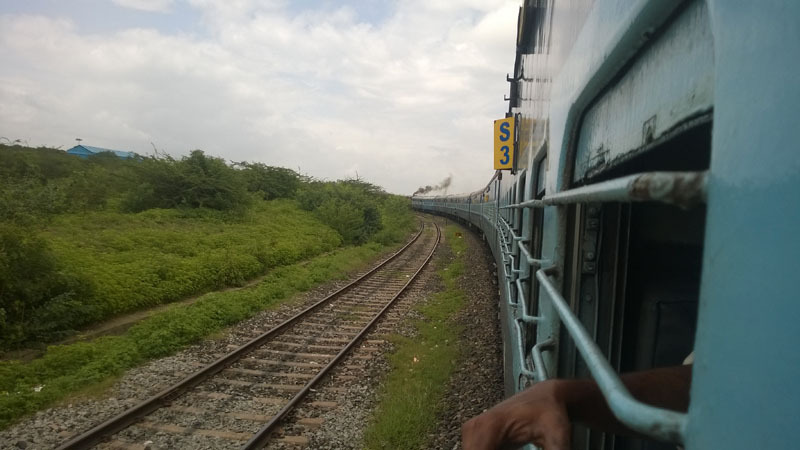 We left our respective home location and decided on catching up with each other at Hosapete station the next day .Hosapete is the nearest town connected with Indian railway line which lies some 13 kms away from Hampi. 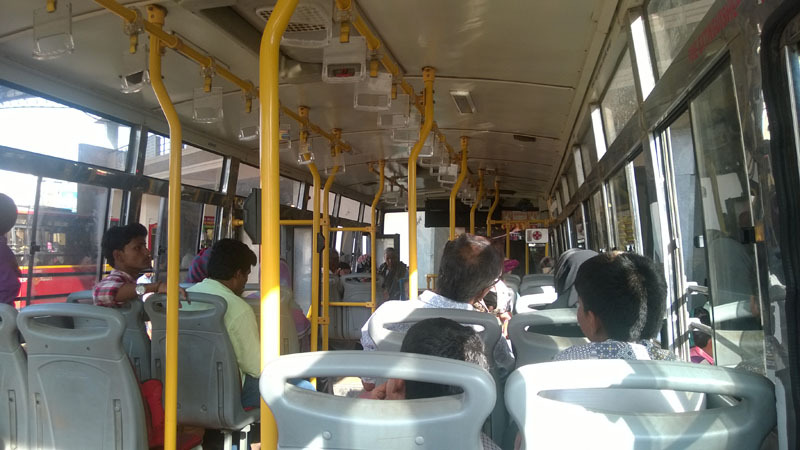 We reached Hosapete town the next day and meet at the Hosapete railway station .After having a decent Idli wada , a typical Indian breakfast we took a shuttle bus from Hosapete to Hampi . 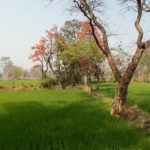 The 40 minutes shuttle bus ride took us through the old town of Hosapete and through plush rice fields on both side of the roads .The clean air and the morning freshness filled up my lung. 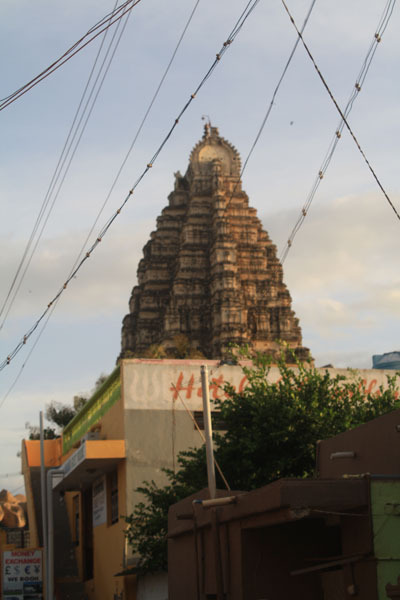 The huge Gopura or the monumental ornated tower , a 165 fts high nine storied entrance gateways to Virupaksha Temple complex was the first sight we saw when we came out from the Hampi bus stop .We headed straight towards the Temple . I bought a small map of Hampi from a street side book seller on route. 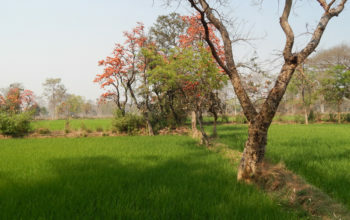 As per the map the village is spread across 26sq km and it seemed to me quite vast to explore each and every corner in few days that we had in our hand. 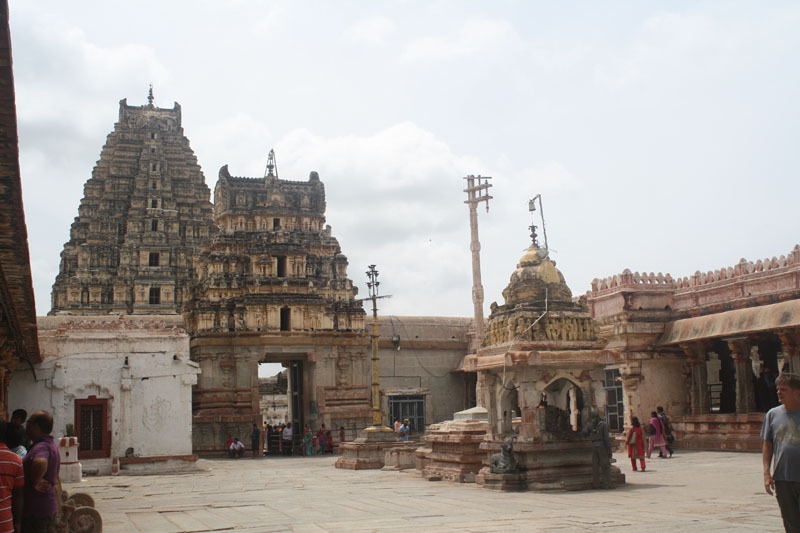 Anyways we thought of chucking out our plan after we visit the Virupaksha temple . Making way through the busy streets of the Virupaksha Temple premises we went through the doorways of the main Gopuram gateway .Right next to the Huge door of the Gopuram on the left there’s a crude map of Hampi drawn on the walls, probably by some tourist guides as they were the ones who were showing the tourist where next they will be heading .The doorways lead to a open courtyard. 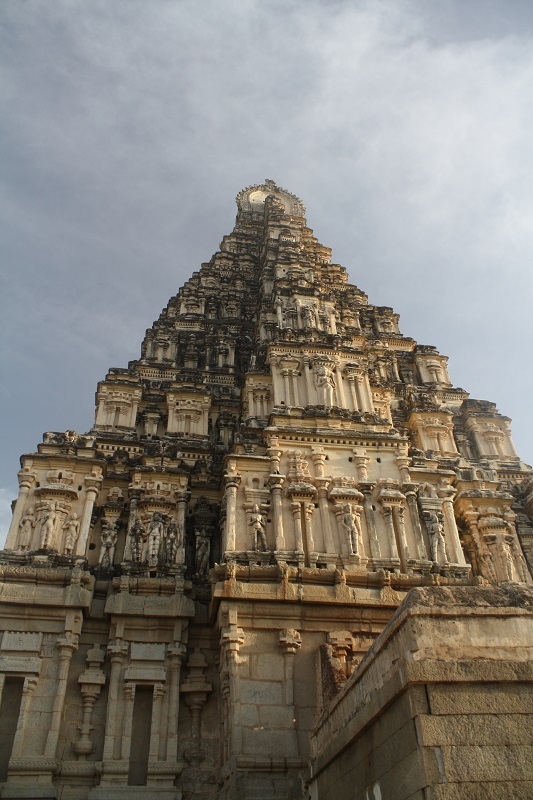 The view of the Gopuram was amazing from the courtyard. Came to know there were staircase the lead to the top most floor of the Gopuram . 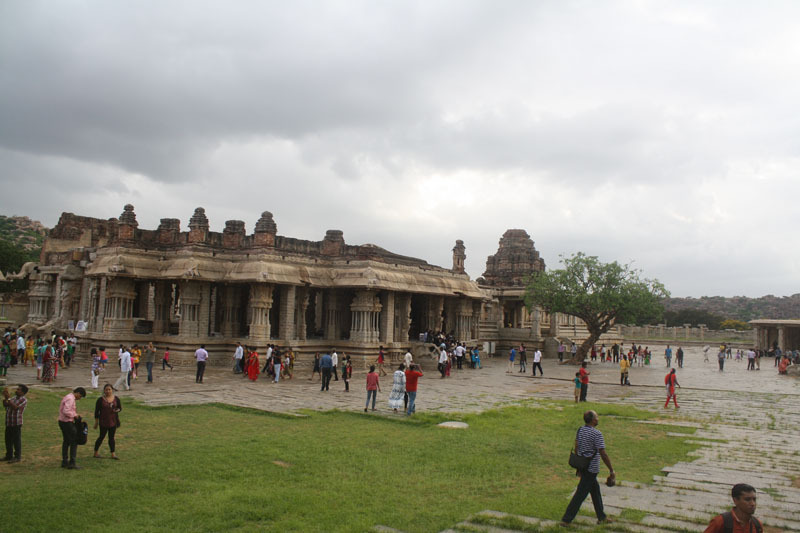 But Alas, no one are allowed now a days due to the undergoing restoration work. The Outer courtyard leads to inner courtyard .To enter the inner courtyard and the main Temple one has to pay a nominal entrance fee . The second Gopuram, though much lower than the first, has sculptures in the bays of the upper tiers. Right after entering to the left elephant named Lakshmi is sheltered ,quite an attractions for all age groups of tourists . 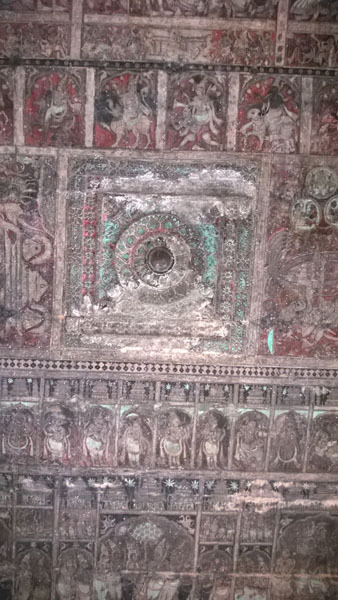 The main temple complexes was huge and its inner ceilings were painted mostly in red with many folk stories . 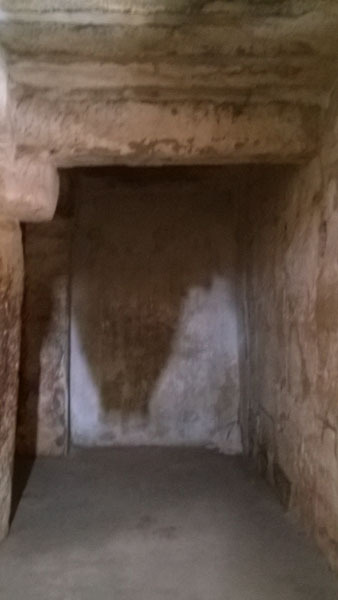 The most prominent figure one can see are of Yali ,a mystical creature sculpted onto the pillars They usually have the stylized body of a lion and the head of some other beast, most often an elephant. 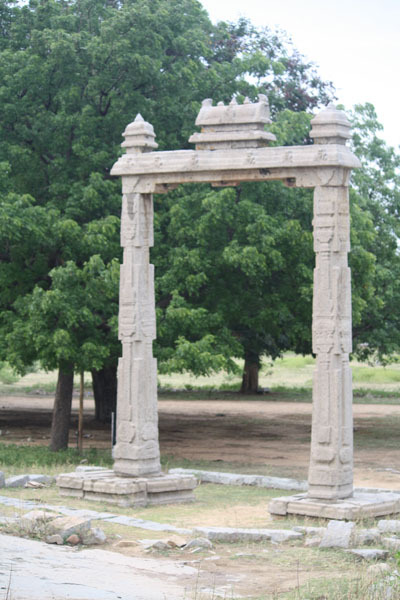 These pillars are named as Yali pillars. After the Darshan of the main diety a small pathway to the right took us to a small rooms where a pin hole camera technique transmits an inverted image of the main Gopuram on the wall .Intrigued by the marvelous architectural dexterity and the knowledge of pin hole technique even before the western world could know of this . 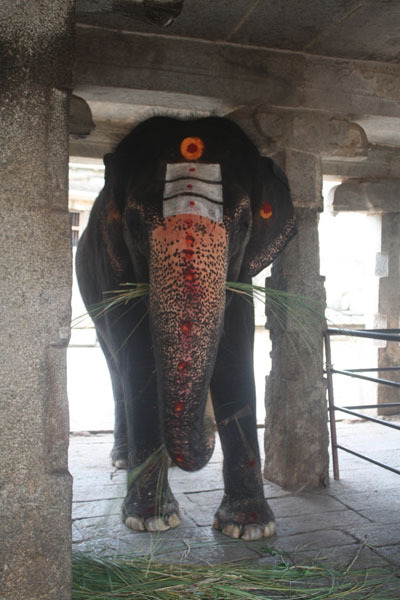 We came out of the temple complex via north side exit which had a huge water tank called Manmatha Tank . 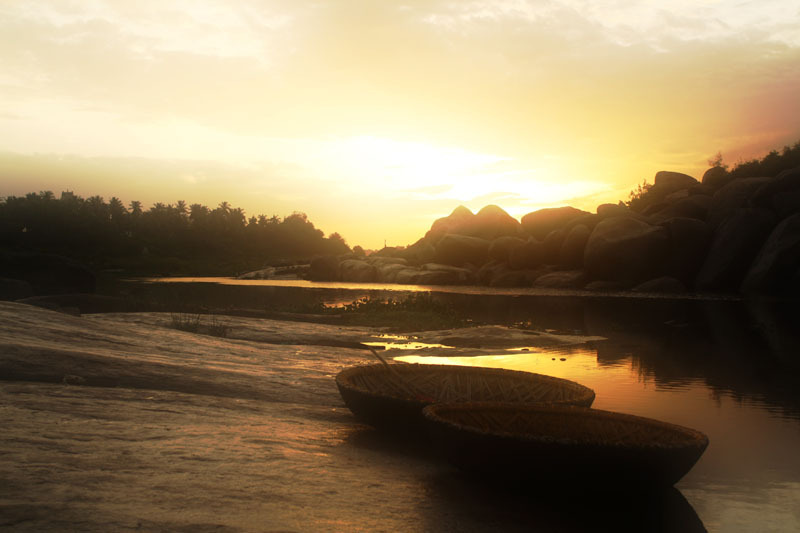 Walking further on we reached the banks of the Tungabhadra river and the bathing ghats. There were two ferries plying between both ends which were ferrying people to the other side of the river . It was already noon and were very hungry .We checked-in to a restaurant named Mango tree .The menu of the restaurant was quite varied with Israeli and French food on its menu along side the north and south Indian food menu .We ordered South Indian dishes for ourselves . Wow !! What a food !! If you are looking out for a good restaurant in Hampi then this is it . I would highly recommend to my readers to try out the food varieties available there esp The mango Lassi (available at all seasons).You would definitely love it .Even there are few more restaurants available on the same lane , most of them serves fast foods or Israeli foods. 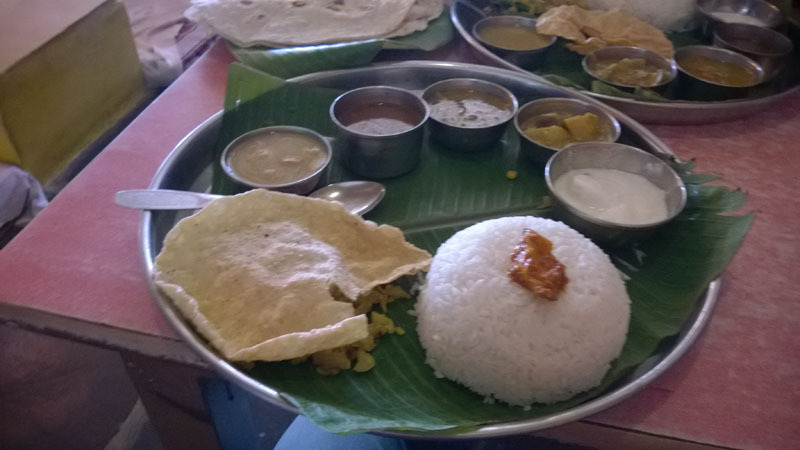 Typical south Indian rice plate comprising of Rice , Lentile soup(dal), 3 types of vegetable dishes, 1 type of sweet and papad. After filling up our hungry tummy we moved on towards the Main Bazar area in front of the Virupaksha Main Gopuram. Before resuming we hired two bicycles for ourselves to move around the city .Since Hampi is quite a vast area to visit , the cheapest way to commute around Hampi is definitely on these hired bicycle .There are many shop near the restaurants around the temple who provide bicycle on hire. 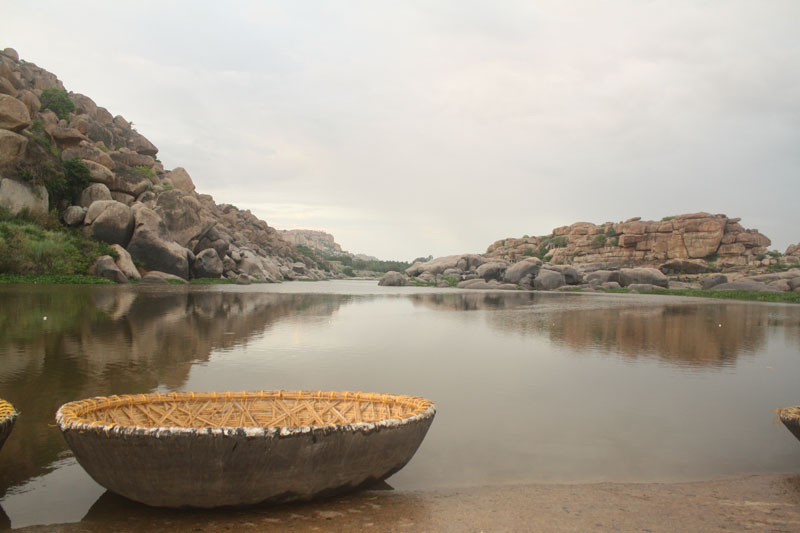 With Rs 300 a day it seems the cheapest means of transportation around Hampi . Another reason is you can enjoy the place at your own pace . The straight road ahead lead us on a wide roadways passing through the market has series of old pavilions on both sides. 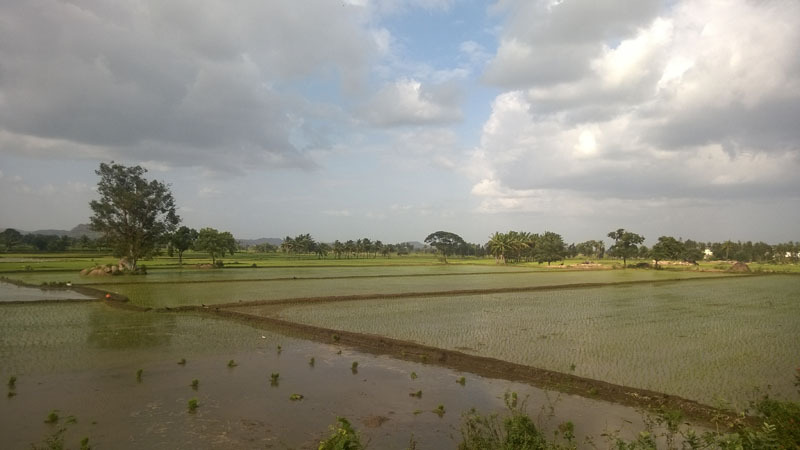 It used to be a well-known market place that spreads for more than one kilometer and was a thriving market during the glorious days of the Vijayanagara Empire. It was a place where merchants from various places around the world would come and sell exotic stuff like precious stones, jewelleries, silk clothes, etc. It was also a market where cattles and horses were also traded. 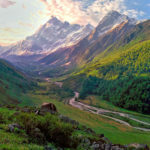 Though the market has lost much of its golden sheen and significance of its bygone years , it is still the popular place to visit among the many tourists. At the east end of the street there’s a huge Nandi bull carved out of the stone and there are some two storied structures too nearby . 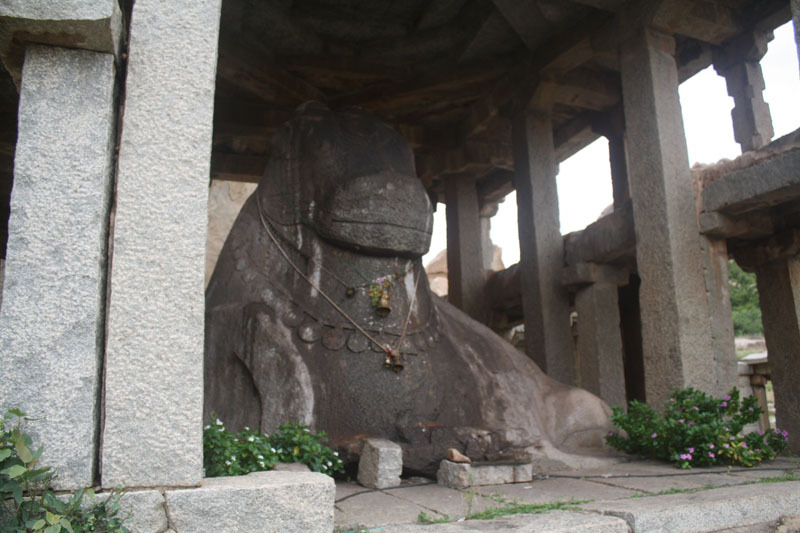 The staircase which starts behind the Nandi bull leads up the hill to a temple . 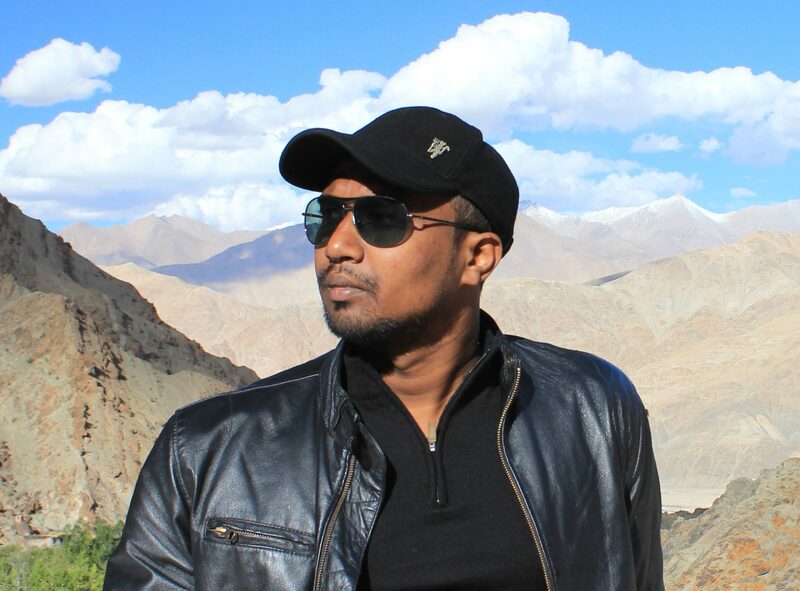 The sun was bright and the climb uphill was quite an effort for us in the hot and humid climate .There were small vegetation which were having thick undergrowth on the path that we took .It took us near to 45 minutes to reach the hill top . 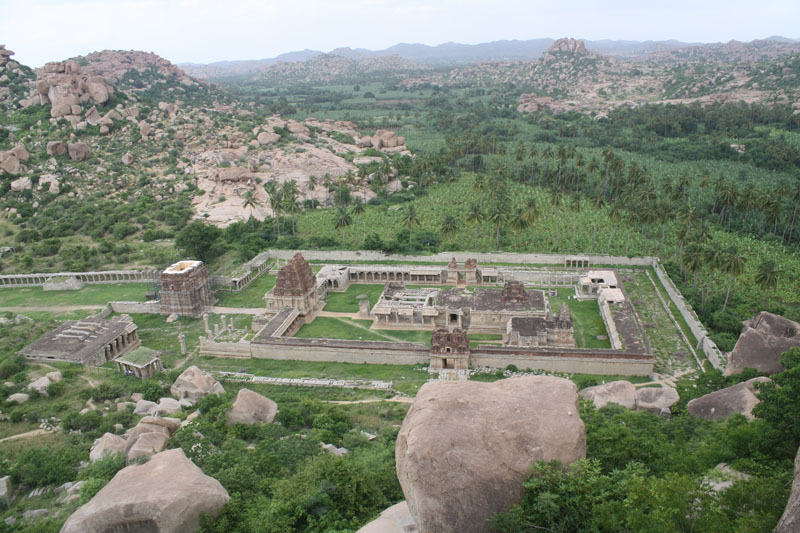 The porch of the temple provided a vantage point from where the vast expense of Hampi could be seen miles and miles away .The river Tungabhadra on one side and the rocky hilly region everywhere . The rocks balancing each other. The Mantaga Hill in the background was the one which we climbed on to reach the Temple on top of it. After spending some one hour or so we took a detour on the same route and made back to the base of the hill . From there we crossed over few barbed wires to reach the ruined temple . 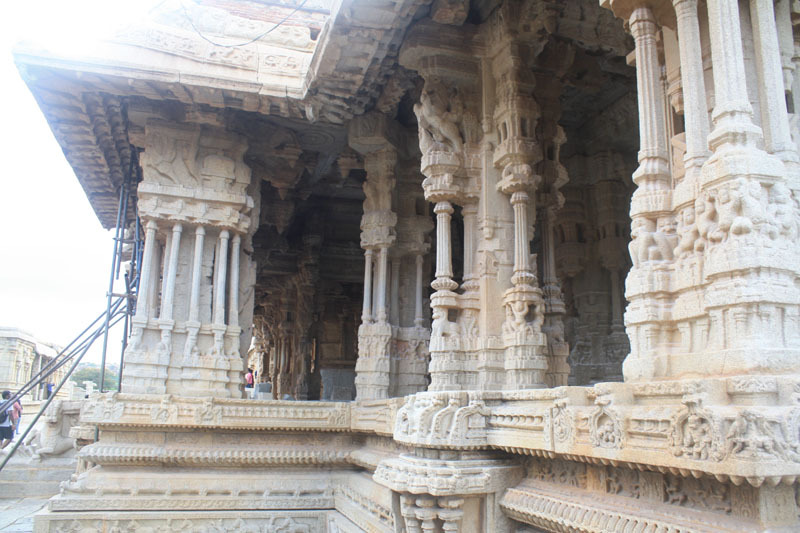 It was not so grand as Virupaksha temple ,but the architecture was marvelous. We strolled next half hours there and then walking along the main bazar area we crossed over to Vitthal temple before crossing the King’s balance .The King’s Balance also known as Tula Bhara or Tula Purushadana, was used by the king to weigh himself with gold, gems, silver and precious stones which he used to distribute to the priests of the temples during some special ceremony seasons like solar or lunar eclipses . 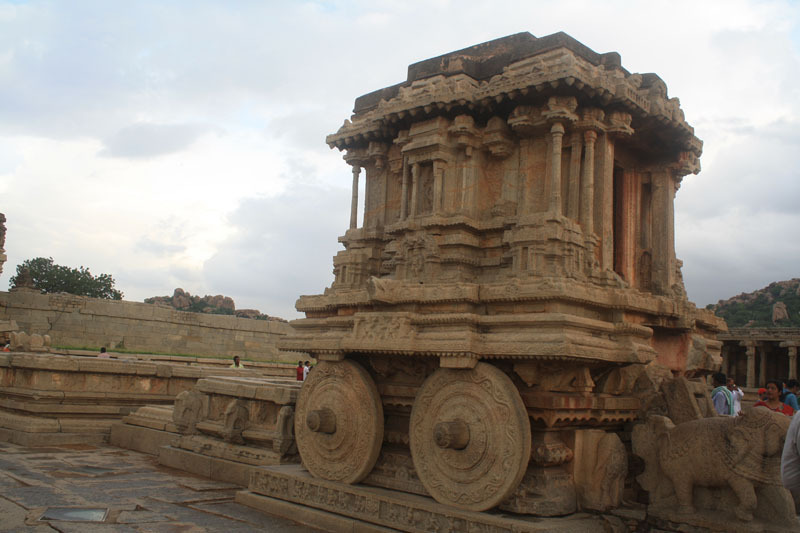 Passing on the King’s balance brought us to the Vitthala temple which has the world famous stone chariot in it’s premises . 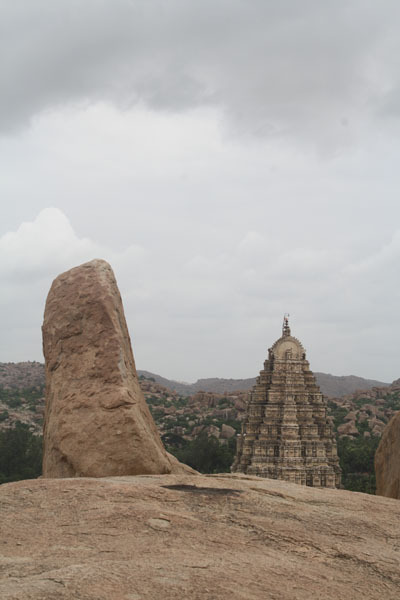 Though called as stone chariot ,but in contrast as the name suggests, it’s a shrine built like a chariot. 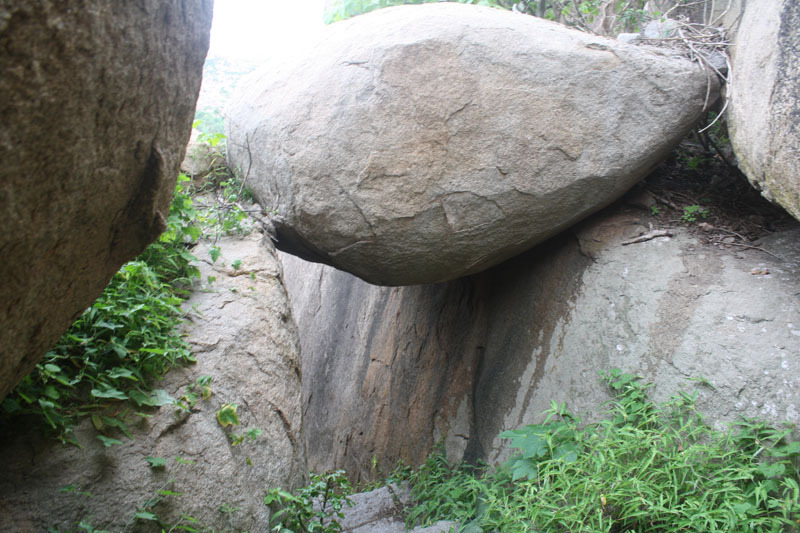 It appeared more like a monolithic structure which in reality was a stone shrine built with many giant granite blocks. The joints present there were smartly hidden in the carvings and other decorative features that adorn the Stone Chariot seemed to have long lost . Time has played a very cruel part on these mute stones . 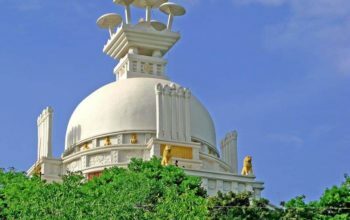 Battling centuries of neglect and incessant natural forces acting on it the Chariot has stood its ground but much of its upper dome stands missing today . Vitthal Temple premises . The tree with lots of twisted trunk and branches seemed very interesting . 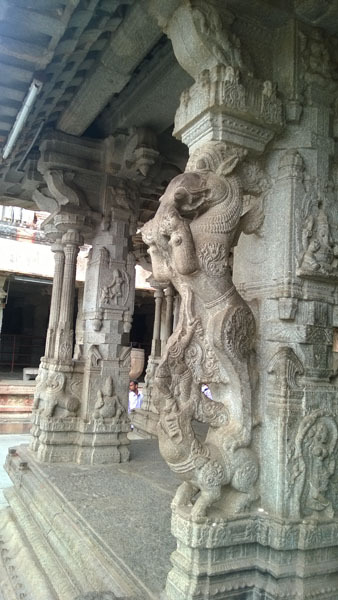 Intrinsic carving on the eastern Gopuram of Vitthala temple. 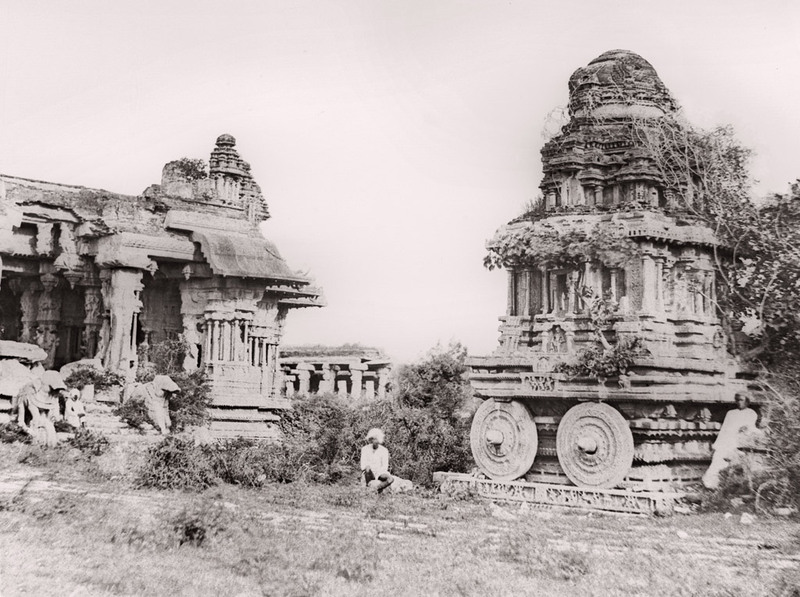 Stone Chariot, Then back in 1856. Image copyright – Alexander-Greenlaw . Sun was setting in , and it was getting dark . We took the path that headed straight to the paved gravel walkways ,by the river bank . The rocky barren land took a golden hue under the rays of the setting Sun . I don’t remember how long we sat on top of the old rusted hill near the river banks, watching the sun melting on the horizon .It was a wonderful day .